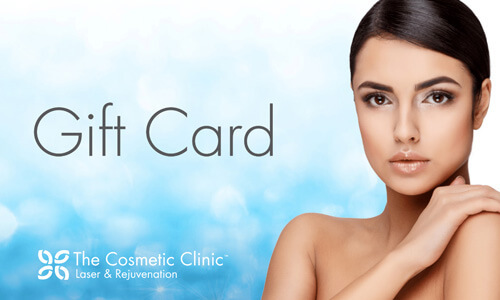 Give the gift of beautiful skin with a Gift Card from The Cosmetic Clinic. If you’d like to treat a friend or loved one, we offer gift cards in any denomination of your choice. Please talk to our in-clinic team for more details about our Gift Card options.